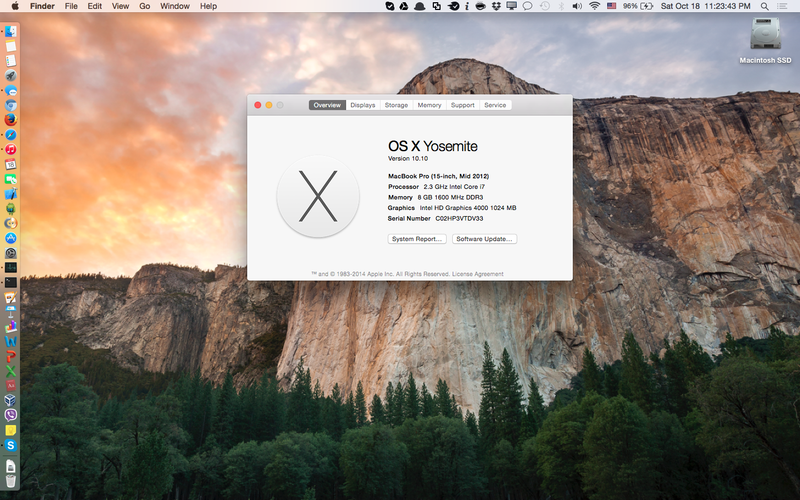 Just installed Mac OS X Yosemite (10.10) final release version. Look wise its great! though it might take a while for me to get used to. 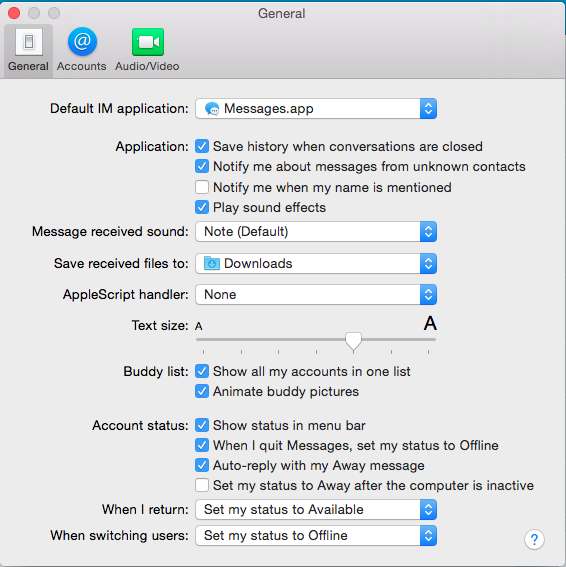 It came to me a bit surprise that Messages font can not be customised anymore. 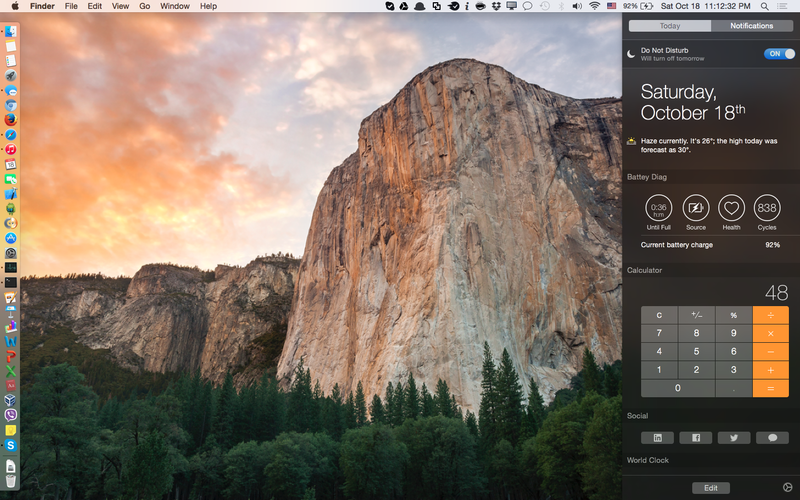 Possibly next update of Yosemite will give the user the customisation ability. Experienced hazy screen on Appstore app sometimes. 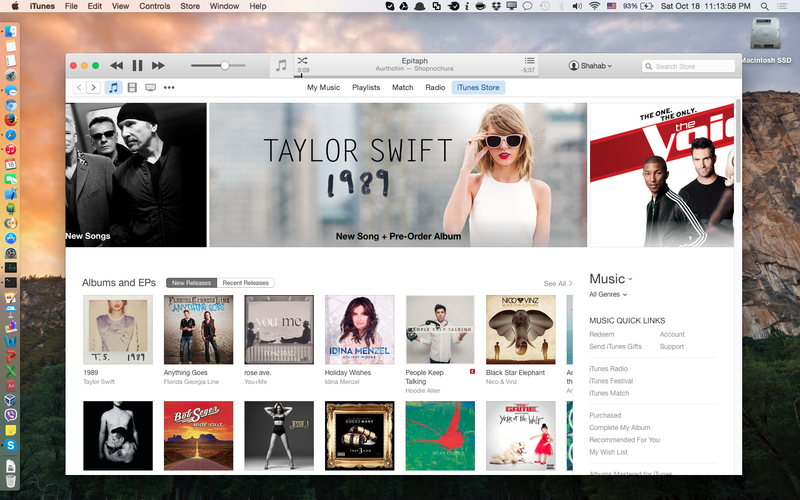 it is the first time I see hazy screen on mac. Though it was just for a blink of an eye (1 sec max). Couldn’t take the screenshot by then. 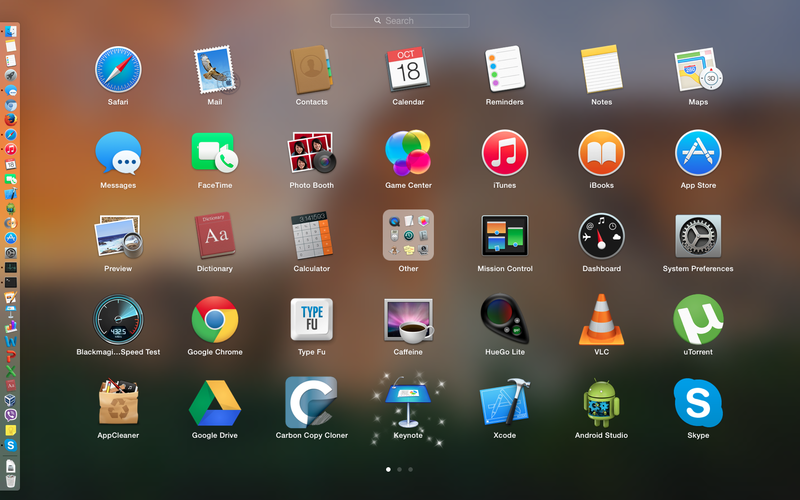 iCloud had been disabled for a while for Yosemite update. Now User can share documents via iCloud. Remember, once you upgrade your account to use iCloud then you won’t be able to access iCloud from your older x-OS device. That means, you can use iCloud from Yosemite+ or iOS 8+ devices only. 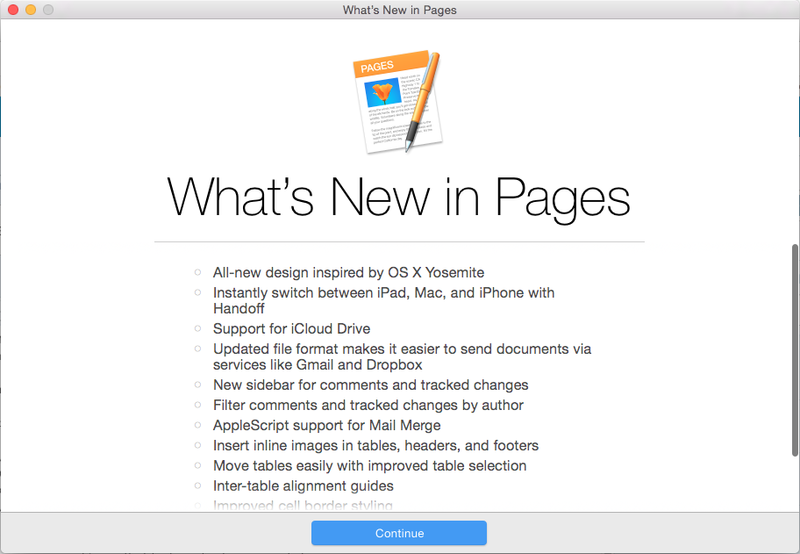 Along with the Yosemite Apple has also released Pages, Keynote and Numbers. Surprising enough, you have to download all of these three softwares in 2 steps!! First you need to click on “Update” from Appstore update tab and then it will be updated. After updating, it won’t go away from the list rather waiting you for click “update” button again and then it will be updated finally. The download file of two different updates are different. So there is no confusion that the first update didn’t work, rather its a two step process. 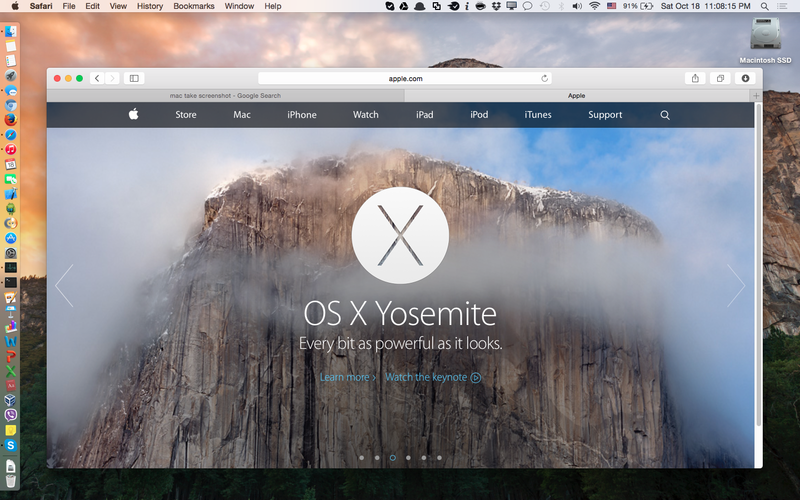 Chromium and Google chrome both have some major issues with Yosemite. 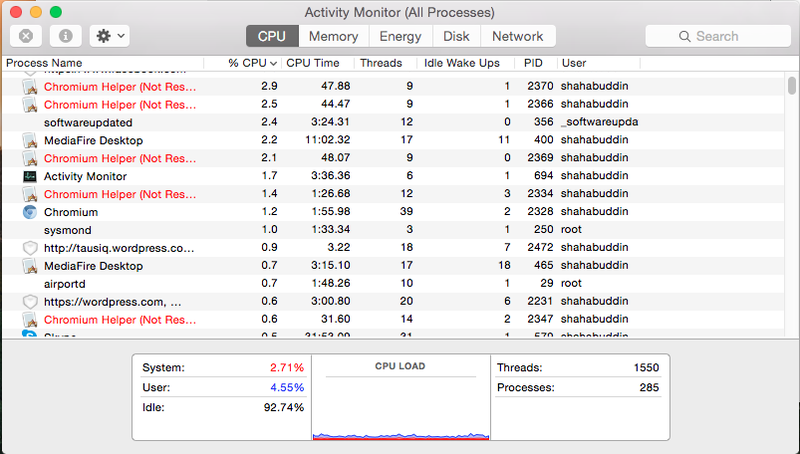 Got several “Chromium helper (not responding)” from System monitor. After a bit searching I found it has been happened to many other users. Although experts are saying its a very innocent bug (won’t do any harm at all) and people should not be worried. Updated my Chromium and Google chrome to latest version. It appears to me that, Google chrome is less battery hungry now than its previous versions and Chromium. You might give it a try. Maximise button of the App will make it Full screen app. There is no “Full screen” button at the top-right corner of any application. Now the Maximise button will do the work. Because of this feature/decision you might face an annoyance. If you make an app full screen in secondary monitor then you won’t be able to move any other apps to the secondary screen. First you need to make the app non-maximised. 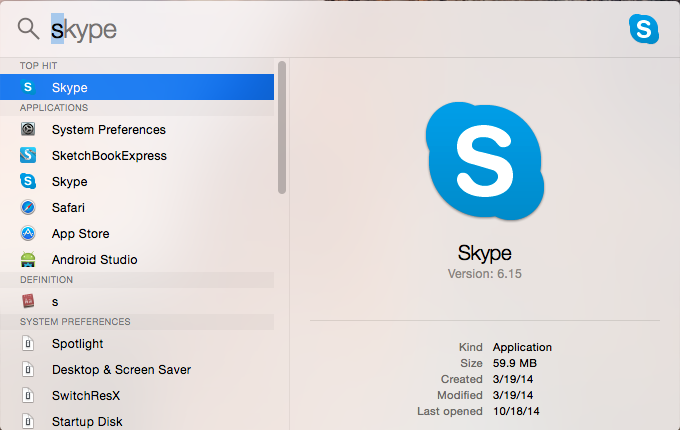 Glims for Safari is not compatible with Yosemite. I don’t know any fix yet. Will update this post if I get one. 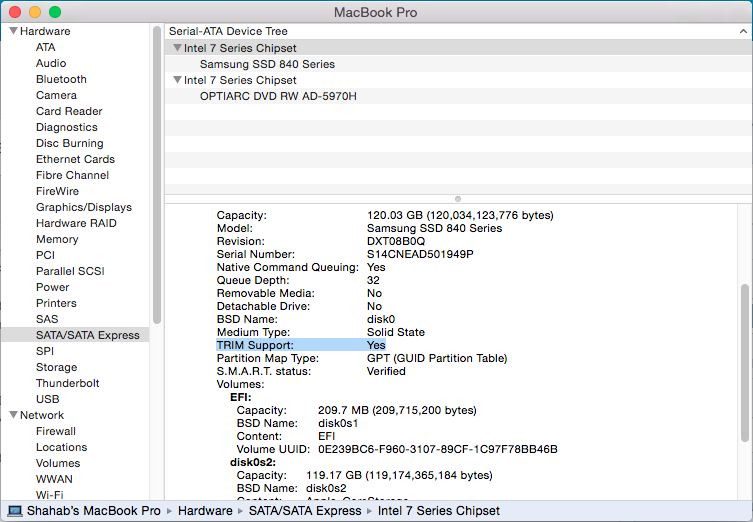 All incompatible software are moved to “incompatible software” under Home/User directory.